Not sure what to do with your Christmas bonuses? Tablets help you shop better online. Huawei’s winning strategy of collaborating with industry experts has resulted in the Mediapad M3 with SWS 3.0 audio co-engineered by none other than Harman Kardon. Its brilliant 8.4” WQXGA (2560×1600 pixel) IPS screen looks as good as it sounds, giving you an intimate and wonderful experience when binge-watching the latest from Netflix or Viu. The Android operating system may still be Marshmallow but the Mediapad more than makes up for it with a capable Kirin octa-core processor for all your movie watching needs. The daddy of all modern premium tablets, the 2017 Apple iPad Pro 12.9-inch is a behemoth of a tablet not just in size but in specs and performance. Powered by Apple’s latest A10X Fusion processor, it easily outpaces many current ultrabooks and laptops. Its outstanding 12.9” (2732×2048 pixels) with ProMotion renders everything you see and draw lag-free at a buttery smooth 120Hz refresh rate. Invest in the Apple Pencil (RM 449.00) and you have a mobile studio powerhouse worthy of Pixar™ level creative possibilities. When it comes to using a stylus, Samsung takes the cake in digital pen scribbling. After all, they did bring it to the masses in the first Samsung Note phablet in 2011. Bundled with the acclaimed S Pen, the Samsung Galaxy Tab S3 makes it easy to interact with pages, jot down reminders or notes, and allows you to get creative sketching in PEN.UP or even composing music in Soundcamp. The 9.7” QXGA (2048×1536 pixels) HDR-Ready Super AMOLED tablet is powered by a 2.15GHz capable quad-core processor while packing a 6,000mAh battery in its 434g chassis. This tablet is iPad Pro level for the Android world. Designed from the ground up to be the tablet that can replace your notebook, Microsoft’s Surface Pro is a breath-taking feat of industrial design and engineering. Powered by Intel’s 7th generation processors ranging from the Core m3 to the venerable Core i7, it is the only other tablet here that runs Windows 10 Pro with native productivity software such as Microsoft Word, Excel and OneNote. An excellent 12.3” (2736×1824 pixels in 3:2 aspect ratio) touchscreen tablet by itself, its true potential is unleashed when paired with the Surface Keyboard (RM 669) and Surface Pen (RM 299). This is mobile productivity at its best. The Samsung Galaxy Tab A (2017, 8.0”) is a fully featured tablet that is designed with simplicity in mind. It comes equipped with educational tools, games and Samsung’s parental controls ensuring your children’s entertainment is delivered safely. The 8.0” (1280×800 pixel) LCD tablet runs on a quad-core processor with an ample 5,000mAh battery to keep the entertainment and education running for a long time. The undisputed king of reading tablets, Amazon has released another winner with the Amazon Kindle Paperwhite. Viewing on a glare-free high resolution 300ppi e-paper display, the Kindle Paperwhite lasts weeks on a single charge. It even comes with a built-in adjustable light for all your night-owl reading adventures. The Amazon book selection currently has over a million titles, with thousands being free and supported by local Kindle book clubs in Malaysia. Lenovo brings the best of endurance mobile computing with the Lenovo Tab 4 Plus. Packing a large 10.1” (1920×1200 pixels) IPS LCD Display with 10-point multitouch, it houses a massive 7,000mAh battery in a slim 475g body powered by Qualcomm’s energy-sipping Snapdragon 625 processor. This combination enables the Tab 4 Plus to keep the lights on for a rated 20 hours of tablet use. If you’re ever going to finish shows on that battery charge, the tablet isn’t going to be the only thing that needs recharging. The smaller brother to the Lenovo Tab 4 Plus, this 8” tablet with its 1280×800 pixel IPS LCD display is a svelte 320g device powered by a mid-range Qualcomm Snapdragon 425 processor that stretches its 4,850mAh battery to nearly 20 hours of use. For the asking price, it comes with 4G LTE connectivity, decent graphics and even Dolby Atmos audio to boot. This little tablet reminds us of the original Nexus 7 and why it’s so great for the money. 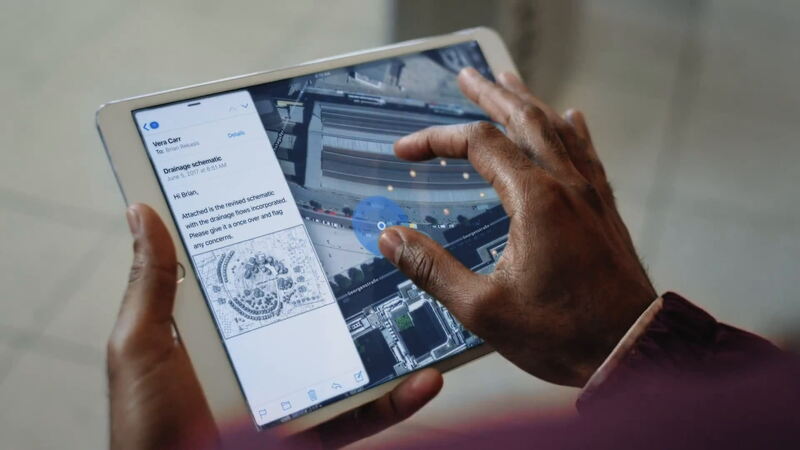 Arguably the best entertainment platform, the Apple iPad Pro 10.5-inch would make a fine gaming tablet with well over 780,000 titles in the Apple Appstore and growing. It is immensely powerful with the A10X Fusion chip running the show on its unreal 120Hz refresh rate ProMotion 10.5-inch display (2224×1668 pixels), making short work of any modern top-tier games in the market. With Apple’s new push into augmented reality, gaming on the new iPad Pro is only going to be more interesting. A lightweight tablet with an impressive array of connectivity options, the Huawei Mediapad M3 Lite is the right device to have in hand when you need to be always-on. Supporting CAT4 4G LTE connection, the Mediapad M3 Lite delivers fast and reliable connection together with WiFi ac on-board. Brilliant Full HD (1920×1200 pixels) IPS LCD panels ensures your social networking platforms looks their absolute best wherever you are. As productivity tablets go, the HP Elite X2 is made even more capable with the inclusion of a detachable keyboard. HP’s implementation of the keyboard on their 12” Full HD (1920×1080 pixels) Intel Core M5 powered Windows 10 Pro tablet is extremely comfortable to type on with the option to lift up at a tilt for even more ergonomic typing. This tablet also comes with biometrics security in the form of a fingerprint sensor befitting an enterprise workhorse.